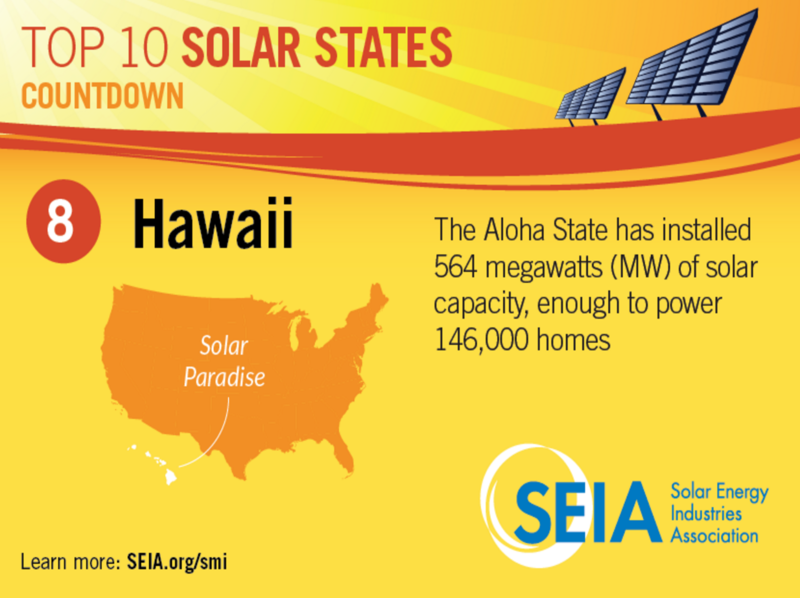 According to the Solar Energy Industries Association (SEIA), Hawaii installed 117 MW of solar electric capacity in 2015, ranking it 13th nationally. $331 million was also invested on solar installations in the state last year, with an expectation of continued installments of up to 1,609 megawatts of solar electricity over the next five years. With the continued decrease in cost and Hawaii’s natural abundance of sunshine, solar power should be an easy way for homeowners to conserve the environment and save money on their energy costs. Unfortunately, in October 2015, the Hawaii Public Utilities Commission (PUC) ended retail rate net metering to new participants. Before this order, all solar power users were able to sell the excess solar energy they generated back to the utility grid at the full retail rate. The policy shift mandates that new customers will receive the wholesale price, which is about half of what was previously offered. Wholesale prices on the island range from 15 cents per kilowatt-hour to 28 cents per kilowatt-hour. The new regulations set by Hawaii PUC give customers two options. Users can energy storage can send a limited amount of generated electricity back to the grid with no credit. Users can send their electricity back to the grid and will be credited at the cost of wholesale power from the islands’ utilities. Both types of users who are connected to the grid will also have to pay a minimum monthly bill of $25 to cover fixed costs like grid maintenance. Hawaii is the first state to end net metering. Why? While some claim a big business conspiracy, the PUC states that the order was needed to protect the grid against Hawaii’s uniquely high distribution of solar power. One truth is that utilities are focused on the cost incurred by maintaining the electric grid as distributed solar energy increases. The Alliance for Solar Choice (TASC) has filed a lawsuit against the policy change, arguing that the commission’s order violated state and federal laws because it was made without public hearings preceded by 30 days’ notice. "These (new) programs will help address the technical challenges of interconnecting record levels of rooftop PV on small, island grids. They will also help ensure all customers are treated fairly by addressing the shifting of costs for operating and maintaining the electric grid from customers who have rooftop PV to those that don't." Darren Pai, a spokesman for the Hawaiian Electric Co. said in a written statement. Although you may think that these changes would stunt solar growth, industry experts observe that new solar energy in Hawaii is still very much worth the investment. “Based on today’s Oahu electricity rate, an installed cost of $4/watt, an average 5 hours of daily sun, and a system life of 25 years, retail credit NEM would provide a “windfall” rate of return of 18%, “ said Makena Coffman, associate professor of urban and regional planning at the University of Hawaii. Hope is definitely not lost when is comes to solar power in Hawaii. Its renewable portfolio is aggressively seeking to reach its 100 percent goal by 2045, so moving forward with storage technologies is an important initiative. Net metering policies are always at the mercy of change; so it’s not an overstatement to say that the best time to go solar is sooner than later. This is the case because most detrimental changes only apply to new installations. Current users or those will applications pending, will continue to benefits from the favorable policy. To get in touch with Hawaii solar companies or an installer in your area, fill out the short form below!